TOP TWENTY presented by Barry Alldis. Barry Alldis - The Radio Luxembourg Top 20. This was his last Top Twenty, at least for 9 years onwards. He says in the program that he will be moving to London. He does not tell it in the show, but the reason for the move was that he wanted to try working as a freelance deejay or newscaster for the BBC Light Programme and later for BBC Radio 1 and Radio 2. 1975, he returned to Radio Luxembourg and remained their most valued deeajay to his death in 1982, when he was 52 years. Radio Lxmbg, Apr 20, 1969 - Kenny Everett Show, 29 min. Radio Lxmbg, Sept 18, 1970 - Kenny Everett Show, . 26 min. Radio Lxmbg, Oct 9, 1970 - Kenny Everett Show, . 16 min. Radio Lxmbg, Oct 18, 1970 - Kenny Everett Show, . 18 min. Radio Lxmbg, Nov 20, 1970 - Kenny Everett Show, . 24 min. Radio Lxmbg, Dec 25, 1970 - Kenny Everett Show, . 24 min. Radio Lxmbg, Oct 31, 1974 - At 21.30: This Is How It All Began. The story behind the English service of Radio Luxembourg. Radio Lxmbg, Oct 31, 1974 - Peter Powell Show at 11.45 PM. Radio Lxmbg, April 18, 1976 - Chris Carey Show at 7.15. Radio Lxmbg, Aug 16, 1977 - The News at 11 p.m. confirms the death of Elvis Presley. Tony Prince makes a change for the rest of the night into a 5-hour memorial program. This recording covers the first hour. Radio Lxmbg, June 25, 1979 - Tony Prince / Rob Jones, Friday night at 9. 29 min. 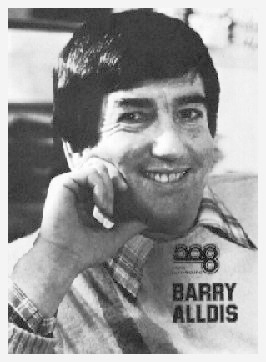 Radio Lxmbg, Oct 6, 1982 - Barry Aldis at 11 PM. 3 hrs long recording. Radio Lxmbg, Jan 8, 1989 - Mike Hollis at 10 PM. 23 min. Radio Lxmbg, Jan 8, 1989 - David Lee Stone at 02.00. 46 min. Radio Lxmbg, Jan 8, 1989 - David Lee Stone at 03.45. 22 min. A Radio Lxmbg, Ducumentary - Noel Edmunds "The Story of Radio Luxembourg"
Radio Luxembourgh, August 8, 1990 192 kbps wma - Tony Murrell via satellite at 21.25-00.10. Duration 2 hours 35 min. "The Station of the Stars"
"The Big Mouth of Europe"
Villa Louvigny, headquarters for Radio Luxembourg through 59 years of broadcasting. The English programmes came from the 3rd floor. X The very earliest attempts to make broadcasts in the Grand Duchy of Luxembourg was conducted in 1924 by the two brothers François and Marcel Anen. They used a 100-watt transmitter, built by François, and they had arranged a simple studio in the attic of a house on rue Beaumont in the capital of Luxembourg. They had a great appreciation of martial music and played plenty of that on a crank gramophone in their studio, and another feature was that they reported sports scores. To gain a greater variety they also invited instrumental groups that played in the broadcasts, which usually took place on Saturdays, but still in 1927 they broadcast for only two or three hours a week. X Leonard Plugge was a British businessman and politician, and also a great radio enthusiast. As a commercial competitor to the BBC he had great success with his company IBC whose idea was to buy air time at broadcast stations on the continent, offering light programming for English listeners. He had contracts with transmitting stations in Normandy, Toulouse, Paris and many more. XRadio Normandy had a larger audience in the south of England on Sundays than the BBC, which probably had its cause in that BBC applied broadcast interruption during the church's worship times. During the rest of the Sundays the BBC offered serious music and quieter speech programs with high moral tone, but on the IBCs broadcasts from Radio Normandy, it was light musical entertainment. XPlugge's project became a powerful inspiration source to a party of French entrepreneurs since the French authorities had introduced new laws that greatly restricted the opportunities for private companies to broadcast from France. Luxemburg, with its central position in Western Europe, sandwiched between France and Germany and relatively close to the British Isles, would be an ideal location to reach European listeners with commercial broadcasts. 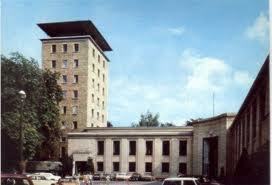 In the year 1930 their company acquired an exclusive license by the Luxembourg government for private broadcasting. XAs a beginning, they bought the Anen brother's radio station, and François Anen was hired as Technical Director of the new company. Next in line, the Villa Louvigny, a former fort located in Municipal Park in the center of Luxembourg City, was leased by the Company to be their formidable headquarters. Their ambitions also included the famous RTL Grand Symphony Orchestra, created under the direction of Henri Pensis. XRadio Luxembourg's first major transmitter was opened in Junglinster on the 3rd of December 1933, with an incredibly powerful 150 kW long wave transmitter - the most powerful broadcasting station then in Europe. It broadcast programs in French and German from the station's studios in Villa Louvigny, which, in 1937, was fully purchased by the Company. XThe English-language broadcasts, which we from now will focus on, had been preceded by test transmissions starting in May 1932 and they were immediately met with hostile reactions from the British government. The test transmissions were carried out from the longwave transmitter in Junglinster, resulting in a very good reception quality in England and Ireland. Regular broadcasts were scheduled to be laid from June 4, 1933, but due to strong complaints from the British authorities, Radio Luxembourg had to shift the frequency four times during the initial month. XAs the BBC had an even more prestigious style on Sundays than they had on the other days, Radio Luxembourg focused especially to offer their best entertainment on Sundays with the big vocal artists such as George Formby and Gracie Fields, adored by all Britons. Another program that attracted many listeners was The Top Pop Stars Of The Day. The earliest announcers on Radio Luxembourg were Stephen Williams and Charles Maxwell and they had no actual standard as to what could make a good program besides trying different ways to maximize the audience, which sometimes meant for example that they gave large scope to report on England's progress in test cricket overseas, and football. XIn the late 1934, Radio Luxembourg had managed to attract large audiences with entertainment programs that went on the air every day. There was a fortune to be made, for the backers and perhaps even more for the advertisers. On Sundays, the transmissions started already at 8 a.m and lasted until midnight. During the week they had slightly fewer hours of broadcasting, mainly on the afternoons and evenings. The British government through the State Department condemned the broadcasts and called them a violation of international agreements. For decades the BBC struggled against Radio Luxembourg and, among other things, expressed threats against artists and others whose participation in Radio Luxembourg's programs might result in refusals to be involved in the BBC's programs. However, nothing seemed to threaten the growing stability for Radio Luxembourg, and this was also the case for Radio Normandy, which operated under similar lines, again with great commercial success. XIt is impossible to say what would have happened in 1939 and thereafter, if the war had not broken out. 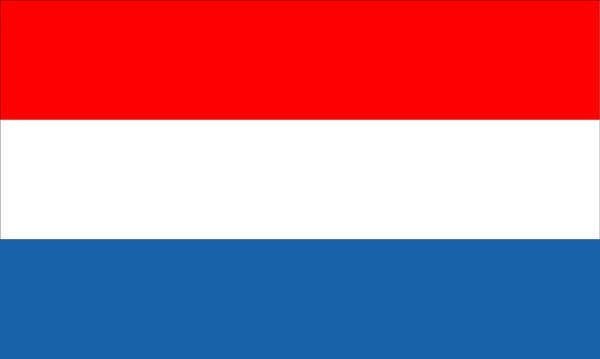 The Second World War was a very dark and difficult period in Radio Luxembourg's history and it also resulted in a total collapse of the Radio Normandie company, and there were also some other smaller commercial broadcasters for which there was no other option but to shut down. In order to protect the neutrality of the Grand Duchy, which they had protected since 1867, the company behind Radio Luxembourg was forced to close the entire operation from September 21, 1939. The whole staff was immediately fired. William Joyce 1940, 13 mins. William Joyce 1940, 34 seconds. 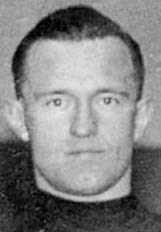 Germany Calling - William Joyce, April 9, 1940, that horrible date for Norway and Denmark. Germany Calling - William Joyce, June 21, 1940, German victory in the Battle of France. XOn May 10, 1940, Luxembourg was occupied by the German Wehrmacht and the broadcasting station in Junglinster became part of the German Großdeutscher Rundfunk and subordinated under minister Joseph Goebbels Ministry for Public Enlightenment and Propaganda . The Germans took advantage of the station's unrivaled ability to cover the British Isles with good reception quality. The radio voice who became best known in these broadcasts was the traitor William Joyce, but there were also other voices in these propaganda broadcasts who, by the British journalists, were given the nickname "Lord Haw-Haw". In his broadcasts Joyce used to call himself "Lord Haw-Haw," as if he saw this more as a sign of fame instead of the scorn it was originally intended to be. XThe Germans didn't hesitate to exploit the disrespectful propaganda technique to report large losses for the Allies, fighter planes shot down and torpedoed warships, wounded or killed soldiers. However, these broadcasts could still, by some, be regarded as the only source of certainty about family members who had not returned after battles over Germany. In the Allied troops, as well as among civilians, Joyce had an audience estimated to a 6 million regular listeners and 18 million listeners who occasionally returned. It was mainly at the beginning of the war, when such information from the BBC and other British sources were censored and closed, and many had hopes that the German transmissions could provide some more clues. Later, this problem was realized, and the demand was raised to the British Ministry of Information to provide greater transparency in the official reports of British military casualties. XThe last of Joyce's broadcasts occurred on April 30, 1945 during the Battle of Berlin while the Germans still had the possession of the transmitter in Luxembourg. Joyce appeared more tentative than usual and it could be heard in his speech that he was inebriated. However, his speech was more solemn for he must have felt that the words would be his last. He ended his broadcast with a "Heil Hitler, and farewell". After his broadcast, Joyce was disappeared and lost for a year. When they found him, he was arrested and later sentenced to three cases of high treason and was executed by hanging at Wandsworth prison in London. XAt the end of the war, before the German troops fled from the transmitter site in Junglinster, their orders were to blow up the entire plant. One of the station's engineers managed to convince the Germans that it was sufficient for their purposes, if they just shot holes through the transmitter's power tubes - that would prevent the station from being used by the Allies, he said. When American troops came he dug up a series of transmitter tubes which had been in safety for four years after he buried them there. XThe Junglinster transmitter facility was then taken under U.S. control, and they went into negotiations with the Luxembourg administration in which the Americans wanted a continued management of the station as "The Voice of America - Europe." The British, however, had a different approach, where the Winston Churchill's government had plans for a fixed telephone line from England which would make it possible to use the transmitter for the BBC World Service's programs. This plan had perhaps become a reality if the Conservatives had not lost to Labour in the British general elections on July 5, 1945. Radio Luxembourg was returned to the possession of the Grand Duchy. The Villa Lovigny was in a poor condition with furnishings and equipment smashed or looted. It was seen as vital to the little country's economy to make the broadcasts return on the air and it really was with determination they brought Radio Luxembourg back, and the restart of the transmissions occurred on November 11, 1945. The status among the listeners had to be restored, but the market for radio advertising was very thin in the war-weary Europe - particularly in England. All had to be done with minimal resources and through a sluggish start. In 1946 the output was still very restricted. It took some years before the station had regained its former attractiveness. XThe BBC and the Post Office had an agreement that Radio Luxembourg's studios in London should not be allowed any leased lines to Luxembourg. Instead, RTL had to prerecord their programs and the easiest way at that time - with available standards of audio recording - was to cut the audio directly on discs, or to record as soundtrack to film, and these recordings were flown on several occasions each week from London to Luxembourg. XThe British Newspaper Association discovered that most of Radio Luxembourg's sponsors also were advertisers in the major national newspapers. The NPA was worried about the competition and the loss of revenue they anticipated in the future, and refused to publish the station's programming schedule in the newspapers, and so it remained until the 1950s. XRadio Luxembourg's Top Twenty was aired for the very first time in the autumn of 1948, still on the long wave 1293 meters. At the International Telecommunications Union's conference in Copenhagen 1951, Radio Luxembourg was given permission to introduce the well-known wavelength of 208 meters, corresponding to 1439 kHz with a small change in 1978 to 1440 kHz. The English program was moved and the "Two-Oh-Eight" became a magic phrase among the young people throughout Europe. However, this frequency change also reduced the English broadcasting hours so that they began in the evening and at other times there were broadcasts in German, which became a hit in German-speaking countries. The broadcast station for the long wave in Junglinster was used for broadcasts to the French-speaking audience. XFor the English broadcasts during the years 1951 to 1955 they were using an omni-directional mast in Junglinster, but from December 1955, the transmitter was moved to Marnach in the north of Luxembourg, where they had built a new facility arranged with three masts for directional transmissions and a power of 150 kW. Towards the end of the 1950s, the transmitter power was increased to 600 kilowatts, which would later be increased further more and become the strongest privately owned broadcasting transmitter with the power of 1200 kW (1968). They also examined a change in the disposition of the masts in Marnach with an increase to five. The intention was to achieve a more effective directionality and improved ground wave in England, but this did not result in any noticeable improvement at all. The two redundant masts was therefore taken down again and the original pattern of three masts were restored. XRadio Luxembourg was in the 60's facing strong competition from the Pirate radio stations that broadcast from ships or marine forts out at sea, and this was the main reason behind the many experiments and upratings of transmitter power to improve the station's reception quality over England. Before this competition, Radio Luxembourg had had an obvious "monopoly" when it came to commercial radio in England, but now the pirates were perceived as the rebels of free radio. The pirates also had another benefit, through their closer distance to the target area they could reach the listeners already during daytime. This was not possible for Radio Luxembourg because of atmospheric radio technical factors. They could only be heard on evenings. XOf course, Radio Luxembourg, just as the BBC, had to find new ways and formats to regain its audience. The first change was to stop all sponsored shows and other pre-recorded shows from London. Radio Luxemburg also introduced a whole new team of disc jockeys. They were Tommy Vance, "Kid" Jensen, Don Woudell, Tony Brandon, Stewart Grundy, and later came Paul Burnett, Tony Prince, Peter Powell, Dave Christian, Bob Stewart, Rob Jones, Stuart Henry, Benny Brown and last but not least, Mike Hollis. XA small town, called Keynsham, got a lot of attention at Radio Luxembourg in the mid sixties after a lengthy campaign about some sort of a betting system. The advertiser invited listeners to write to an address in Keynsham. I've often wondered if they reached the intended result, but the strange name of the town was in any case very clearly stated. Again and again the voice told us that "it's Keynsham! spellt K-E-Y-N-S-H-A-M - Keynsham!" XIn the 1970s and 80s, I was almost every summer in London while Radio Luxembourg was still in its heyday. I used to take the opportunity to test how their broadcasts could be heard in London. In Sweden, I had always thought that the audibility would be stronger and clearer in England, but it wasn't really. Although the distance for the radio waves to reach England was much shorter than it was to reach Sweden, the difference in audibility was rather insignificant. Their "one point two-megawatt" was not enough to overcome the problems - and in the seventies and eighties there were other options with much better sound. To broadcast on medium wave 208 meters, or as it then was called with a more modern expression: 1440 kHz, was by many perceived to give a too low quality to suit modern day requirements. Nevertheless, there were still a surprizingly large audience, many listeners remained faithful to old Luxy instead of the BBC or the commercial local radio stations, even though they offered FM and stereo sound. I also visited the Radio Luxembourg studios at 38 Hertford Street in the fashionable Mayfair in London, but I was very surprised at how their studios were. It was amazing, and almost impossible to believe that almost all the glorious I had heard of "The Great 208" had come from that studios. This station was the first in Europe to have success by programming what people wanted to hear instead of programming what the government thought people wanted to hear. That is why we could show such success against the BBC in England. Copyright rules for the contents of this web: You are welcome to use and copy content for personal, non-commercial, use.